We were at a wedding yesterday and, as we went to bed last night, it’s fair to say I really wasn’t looking forward to today’s long run. It was due to be my longest run in this pre-marathon build-up and, considering how awful my long run was last week (although it was, admittedly, two hours after a 6k race so my legs were nicely topped up with lactic acid), it took me about 7 snoozes before I finally rolled out of bed. Letting the cats ‘sleep’ with us last night wasn’t the wisest move either. Today was, without much exaggeration, probably my most enjoyable training run … ever? 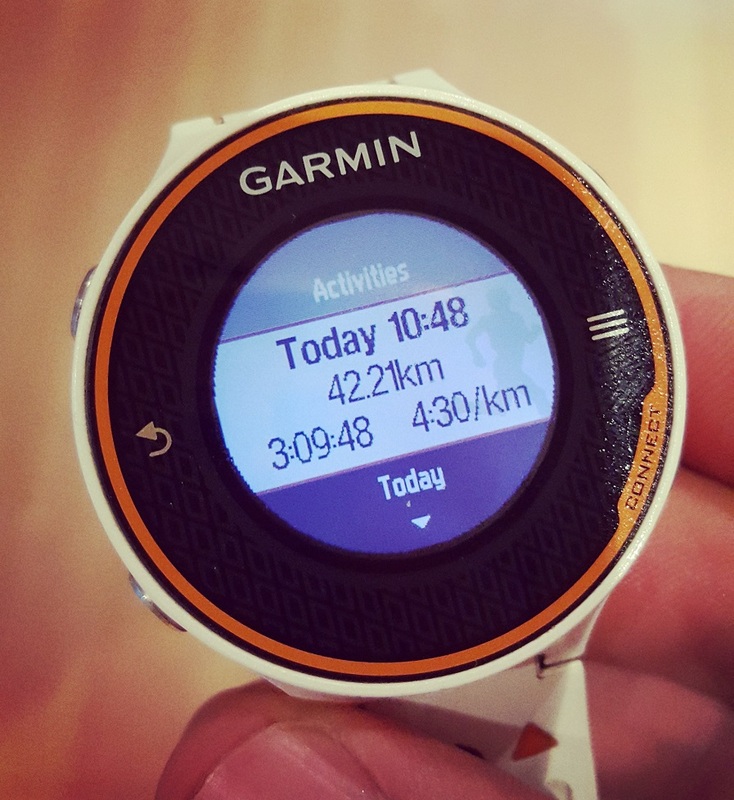 I was flying by, effortlessly averaging kilometres 30 seconds faster than the previous week and I not only felt fine after 35km but decided to screw it and just to keep going to 42.2km – my first ever training marathon! It only took me 3h09 which, for a training run when I’m running alone along the Thames, isn’t bad at all if I can gloat for just one second. 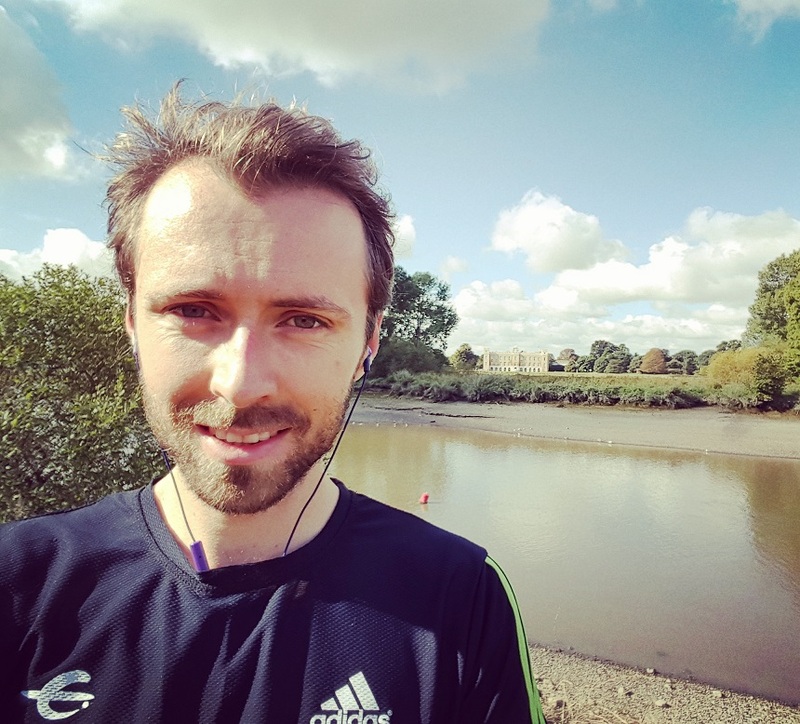 After the ‘success’ came the questions….why did I run well and how on earth do I make sure I can do this again? The weather was good, for sure, but my legs weren’t exactly rested: in actual fact, combining today’s run, I had run 122km in the past 8 days: a ‘record’ for me I think. It might have been fluke form or, perhaps, it might have been a slight change in training paying off: altitude training. As they say, “when in Rome”… And, when in London, it feels like it’d be a good idea to try out all the gimmicks on offer before we eventually move away. 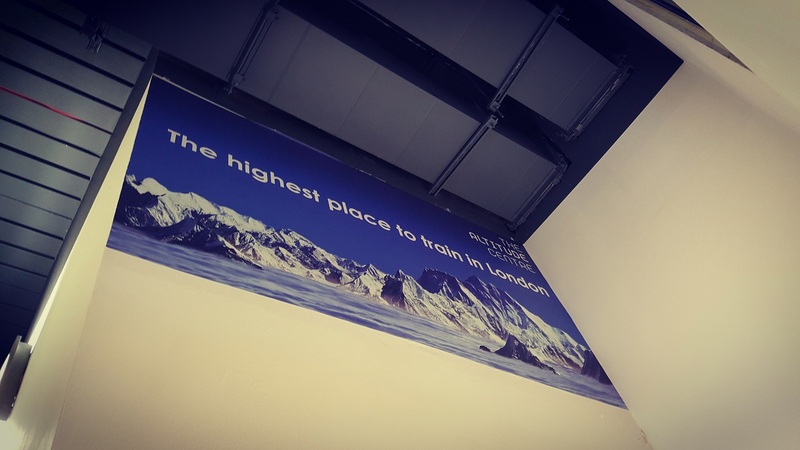 I’d heard of the ‘Altitude Centre’ in central London, a small gym which replicates high altitude (2,750m) conditions, where oxygen makes up 15% of the air, as opposed to 21% at sea level. The gym is used by a number of actual athletes such Mo Farah, Vincent Kompany, Brownlee brothers and many more so it’s not just jokers like me rocking up. That’s by no means a guarantee that there’d be benefits but, with the size of their respective medical teams, you’d think they’ve checked it out first. At £20/session (…), I do kinda sometimes wonder whether this isn’t essentially just a legal form of doping for the slightly wealthier runners. However, joking (?) aside, it’s no different to flying off to the Alps for a month to train and I’m not sure my boss (or bank manager) would approve of that. And it’s more environmentally friendly… Mind you, at £20 twice a week…this isn’t going to become a regular jaunt. The hypoxic environment is supposed to boost performance a bit but, as the guy there explained, the majority of the benefit from attending comes from the actual workout. The low-oxygen might add 5-10% benefit. The room is well set up: rowing machines, bikes or treadmills depending are available depending on what you want to do. You put a heart monitor on and can get going with your own session or be part of a class. I opted to do my own stuff and, each time, have essentially been doing variations of intervals at 3.30min/km building up to a total of 10km. I could probably go slightly faster but I still have the scar on my knee from tripping on a treadmill 13 years ago and going up to 20km/hour would be getting pretty stupidly fast and dangerous. 17 is enough. The room is kept cool which is better than most gyms. 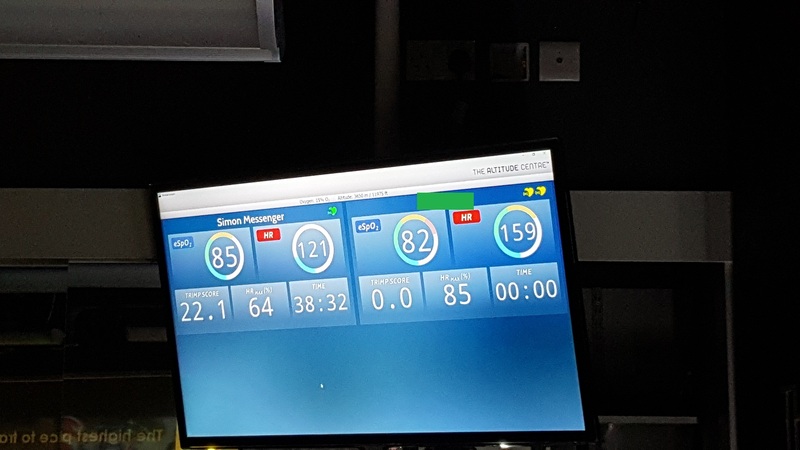 Throughout the session, your heart rate and heart rate intensity are on a TV screen in front of you – over 70% of HRmax is good, over 90% gets a bit much and stresses the body out. I found a good sweet spot around 80-85%. 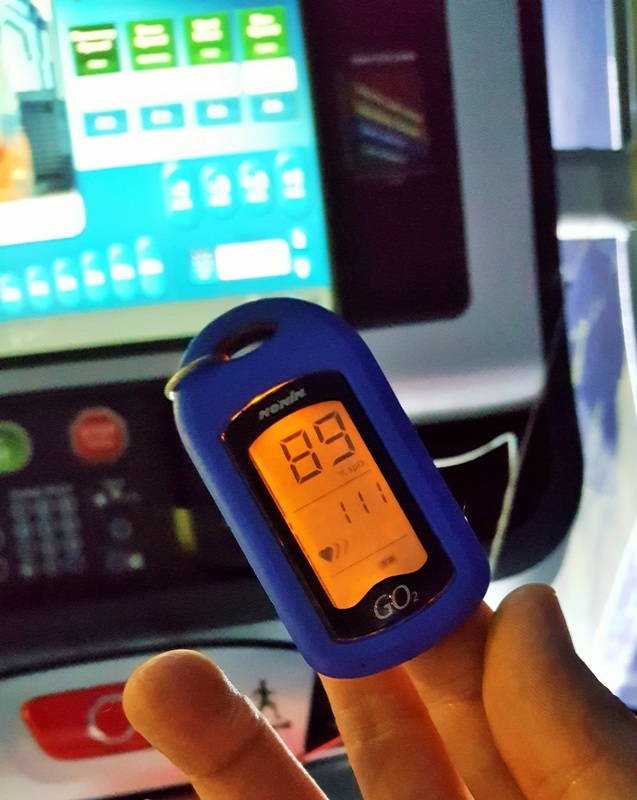 The monitor also gave your VO2max and an infra-red fingertip device on each machine shows you your oxygen saturation levels (SpO2). Playing with gimmicks like the pros…SpO2 levels tend to be around 97-100% outside the room but dip down to ~80-85% after a hard run. They rebounded pretty quickly for me to ~90%, which is a good sign of acclimatisation. It’s meant to take a couple of sessions a week for at least a month to pay off but maybe I’m already seeing the first benefits after only a couple of weeks? It’d certainly be a good thing if it did pay off as, according to my own non-scientific calculations based on my PBs over various distances, I should have a probability of roughly nil to beat my PB in Frankfurt in 4 weeks’ time. 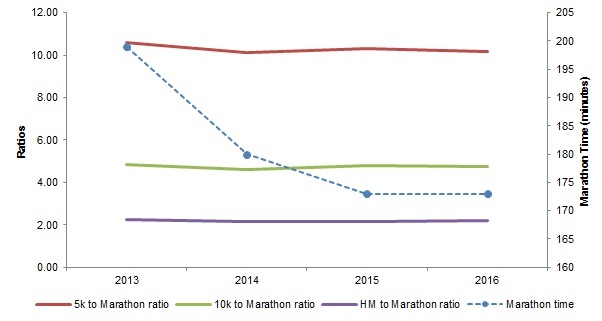 This conclusion is based on a depressing chart (see below) which tracks the ratio between by 5k times and marathon PB for each of the last 4 years, my 10k and marathon ratio and my half marathon and marathon ratio. Ratio: marathon time in minutes divided by 5k / 10k / HM time in minutes. As you can see, the ratios basically don’t change year-on-year: each improvement over a shorter distance is matched by an identical improvement over a longer distance. So, to me, it feels like you can extrapolate what your max performance might be based on how you’ve done in other races. As my PBs this year across all distances are essentially identical to last year…well, bugger. What does it mean I should do differently? No idea, although focusing on one distance instead of doing 800m races might be a start. Meh, it might also be useful to a clairvoyant in the sports industry. Having said that…this was all before I could count on this legal performance enhancement malarkey so let’s see what happens. Next stop is the Exmoor Red Bull Steeplechase 23miler mountain race next week. After that, Frankfurt. After that, no more spending money on very expensive training sessions!